The edited volume explores the cinematography of Chilean filmmaker Raúl Ruiz. 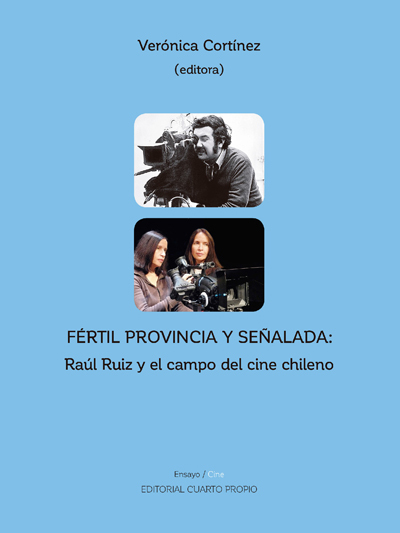 December 4, 2018 — Verónica Cortínez, professor in the department of Spanish & Portuguese and director of the UCLA Center for Southern Cone Studies, recently published an edited volume on the work of Chilean filmmaker Raúl Ruiz: “Fértil Provincia y Señalada: Raúl Ruiz y el campo del cine chileno” (Santiago: Editorial Cuarto Propio, 2018). The book was launched in Santiago, Chile at a September 5 event sponsored by the publisher. Cortínez was interviewed by El Diario Austral Valdivia about the book later that same month. Cortínez's research interests include Chilean literature and film, contemporary Spanish-American narrative fiction and colonial Spanish-American literature. The author of seven books, including monographs and edited volumes, she teaches courses on Chilean film, the short story in Latin American literature, the Latin American novel of the 1960s and violence and memory in the Hispanic world.